President Donald Trump says that U.S. military personnel “don’t have to fire” at migrants if they throw rocks as they attempt to cross the border, walking back comments Thursday where he seemed to threaten force against alleged unruly members of the approaching caravan. Reporters pressed Trump on Friday to explain the rules of engagement between U.S. military personnel and a migrant caravan traveling through Mexico. 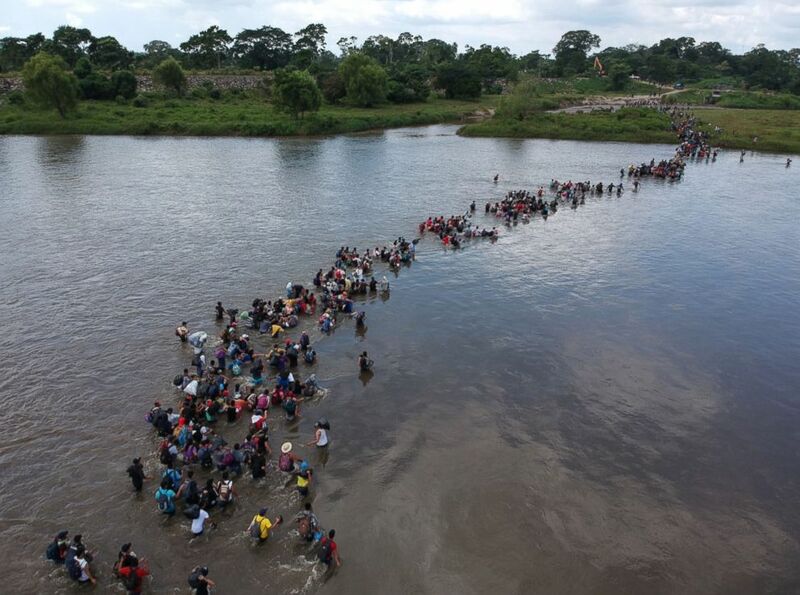 Salvadorean migrants heading in a caravan to the US cross the Suchiate River to Mexico, Nov. 2, 2018. While Trump has relied on his tough immigration rhetoric to whip supporters into a frenzy at dozens of campaign stops, the president worked to shift his final campaign message to the “tremendous” economy, just four days before next week’s critical midterm elections. But the majority of questions that Trump fielded Friday centered around immigration. After signaling that he will sign an executive order to end birthright citizenship in the United States, Trump said the controversy will be decided by the Supreme Court. The election results could potentially hamstring Trump’s presidency if Democrats seize the House or Senate, splitting up the Republican grip on power in the nation's capital, but Trump said “sure” he could work with Rep. Nancy Pelosi if she is elected speaker, including on immigration reform.